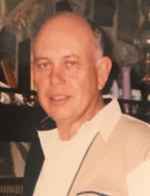 Danny Clarence Bonner, 71, of Bushnell, FL, passed away in Bushnell, FL on February 7, 2019. He was born in Cincinnati, Ohio to Orville and Norma Bonner. Mr. Bonner proudly served in the U.S. Army. He was the retired owner of Bonner Drywall in Bushnell, FL. He is survived by his wife: Glendolyn Bonner of Bushnell, FL; sons: Kent Bonner of Russell Springs, KY; Darrin Bonner (Brenda) of Bushnell, FL; daughter: Dana Kimble (Graham) of Bushnell, FL; 5 grandchildren;2 great-grandsons; two half-brothers: John Ruetschle (Sue) of Durango, CO; Jim Ruetschle (Ann) of Durango, CO.
A time of visitation will be held on Monday, February 11, 2019 from 6:00 to 8:00 p.m. at Purcell Funeral Home Chapel. A service will be held on Tuesday, February 12, 2019 at 11:00 a.m. at Purcell Funeral Home Chapel with Pastor Doug Watkins officiating. Interment will be at Florida National Cemetery with military honors provided by U.S. Army Honor Guard. To send flowers to the family of Danny Clarence Bonner, please visit our Heartfelt Sympathies Store.